Most of the material I post is old enough to pass under The Powers That Be's radar, but that's still no guarantee that this blog will remain unmolested. Good to have a post from you - hope you are well. Sorry about your loss. 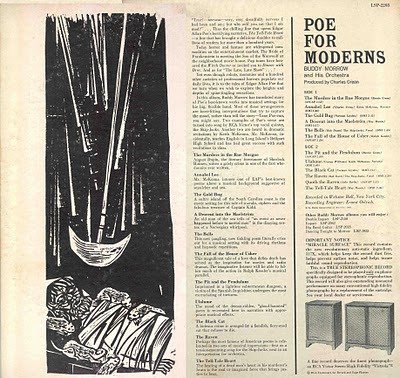 Thanks for that amazing copy of Poe for Moderns! I bought a digital copy from Amazon like a year ago, and it was terrible. Digital artifacting and distortion everywhere... made it difficult to listen to. This is nice a crisp and beautiful! Thanks so much. Thanks for these beauties, Zorch! Hope you were spared any hassle or pain from hurricane sandy and that you have the lights on. It's good to see you posting again. Your stuff is always interesting. I'm sorry for your loss. My mother, too, died in May. Welcome, back Zorch! 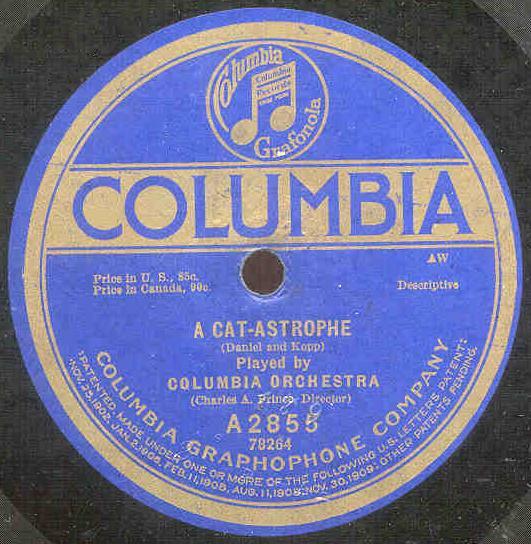 And thank you for the repost; this is very good - and hard-to-find-otherwise - stuff. Hang in there. Best wishes especially to you and your family, on the loss of your mother. You have friends far and wide who keenly know that same loss, and understand, and are with you. "Joy shared is joy increased; pain shared is paine lessened, weakened, softened." 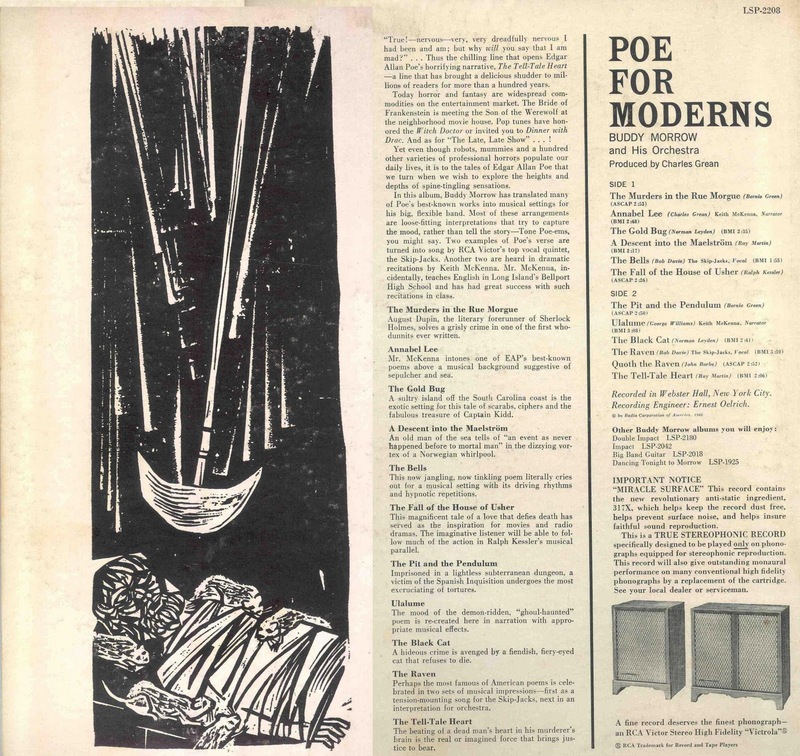 Any chance of Poe for Moderns being reposted? Silly Mediafire has it down though the buy it here post has nothing to do with your file. Ugh! The first link oddly goes to Megaupload, and we all know what happened there. Double Ugh. I am loving the Practical Cats and the Moods for Moderns! Thank you so much! So sorry to read of your loss, my sympathies to you and your family.